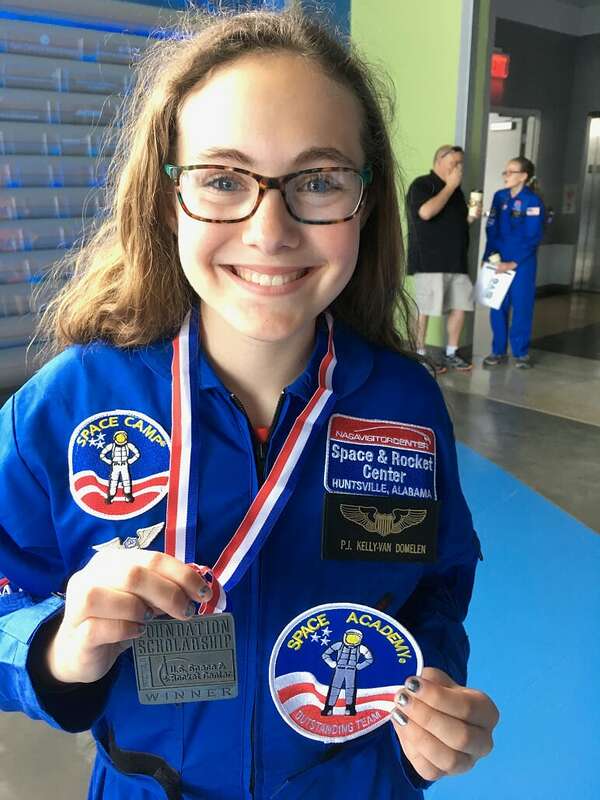 Kaitlyn Twesme: From Wisconsin to Space — Twice! Student Spotlight: From Wisconsin to Space — Twice! Kaitlyn Twesme is a 9th grader at Lake Mills High School in Lake Mills, Wisconsin. 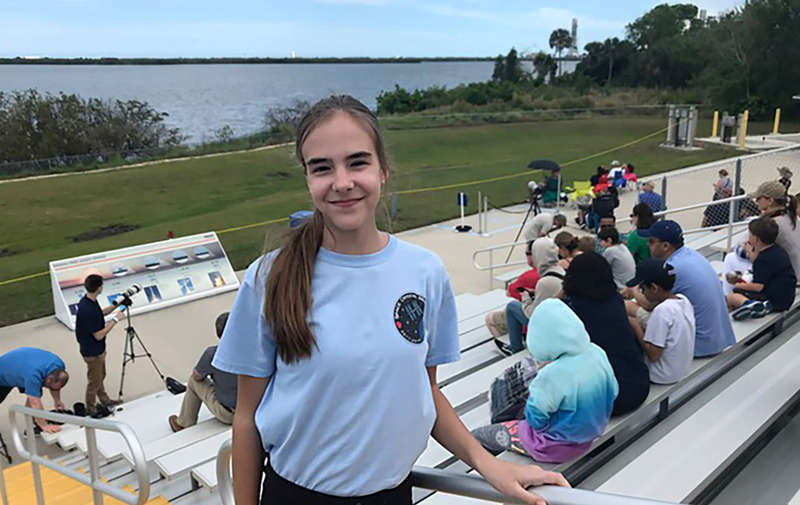 She is a student on the Wisconsin Space Crystal Mission team and watched the project launch aboard the SpaceX CRS-14 mission on April 2nd, 2018. Besides science, she likes to dance, draw, and play the clarinet. One day, she hopes to become an aerospace engineer. My name is Kaitlyn Twesme, and I am a 9th grader at Lake Mills High School. This past year, I’ve had the amazing opportunity to participate in the Space Crystal Mission. I had never thought much about growing crystals, but when my mom showed me information about the Wisconsin Annual Crystal Growing Contest online, I entered right away. I faced many challenges, but by the time I finished, I had grown a crystal sufficient for judging. I was thrilled when I won the best quality award for middle schoolers, which includes the Space Crystal Prize: the opportunity to design an experiment to run onboard the International Space Station! Another winning middle schooler and two high schoolers joined me on the space crystal team. Kaitlyn prepares an inorganic chemical solution in the lab. 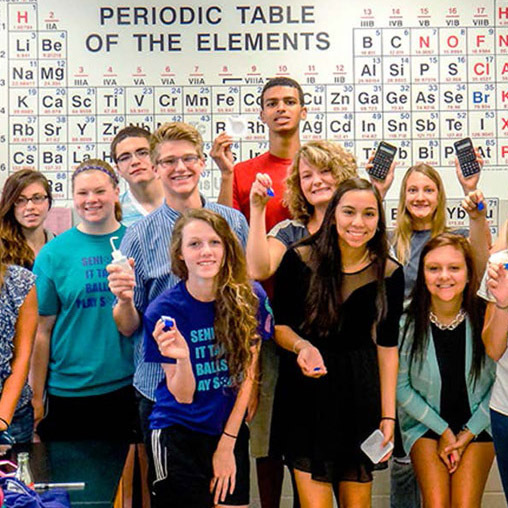 Our mission was to crystallize the compounds of potassium dihydrogen phosphate (KDP) and cupric sulfate pentahydrate in microgravity and compare the space-grown crystals to earth-grown controls. Our original hardware plan was two connected syringes, but we ran into problems when the syringe plunger couldn’t push out excess liquid without crushing the crystals. We decided to switch to bags similar to IV bags in hospitals, whose non-rigid structure allowed them to collapse gently around the crystals when syringes pulled out the liquid. 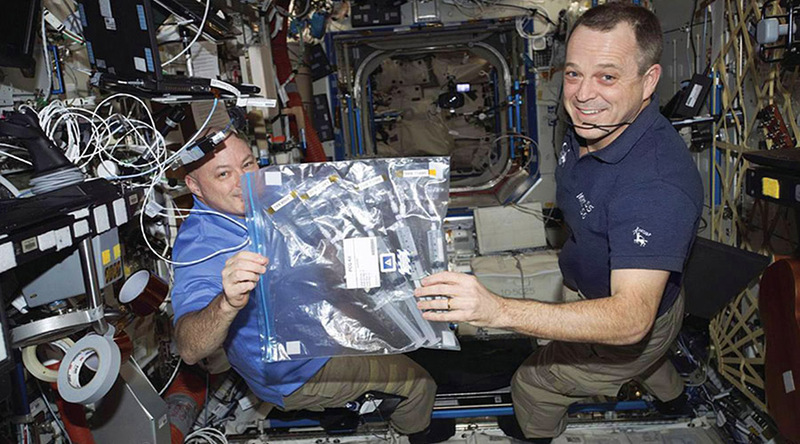 Onboard the ISS, NASA astronauts Scott Tingle and Ricky Arnold hold the KDP experiment developed by Kaitlyn and her team. In the spring of 2018, we traveled to Florida for the SpaceX CRS-14 launch. We worked with payload technicians to prepare the final experiments in the Space Life Sciences Lab. From the Banana Creek Launch Viewing site, the Falcon 9 rocket looked small, but the glow as it lifted off was so much brighter than on TV! Everyone was shouting and cheering, and it was so incredible to know that the project I had worked on was being carried into space! 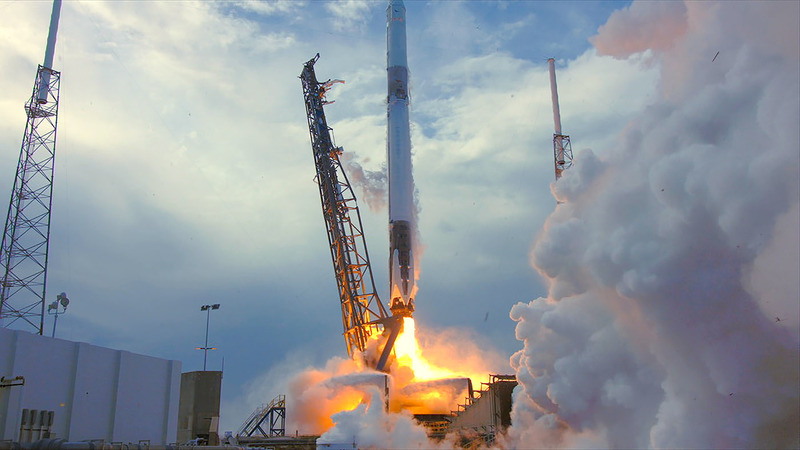 The SpaceX CRS-14 mission launched from NASA's Kennedy Space Center on April 2, 2018. Soon afterward, I entered the Wisconsin Crystal Growing Contest again. I participated to have fun and gain experience. I didn’t expect to win twice in a row. But somehow, I won the same prize again! I get to repeat the Space Crystal Mission with a new team and a new objective! This time, the middle school and high school winners are separated into two teams with distinct goals. I am on the middle school team because I was in 8th grade at the time I entered. We are attempting a technique for crystal growth by evaporation. We’re currently testing the hardware design we developed. 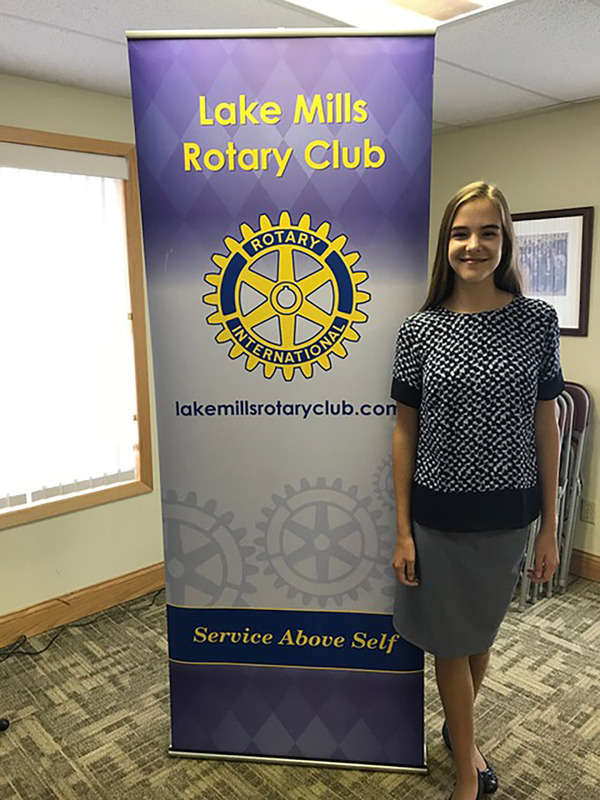 Kaitlyn presented her experiences to the Lake Mills Rotary Club. With experience, public speaking got easier and more comfortable for her. I’ve given many presentations about the experiment and my involvement in the project. Each presentation was quite different. On the day of the launch, we presented slides to some Kennedy Space Center visitors. It was gratifying to see that even though the people in the audience had no connection to me, they wanted to hear about the experiment. They were genuinely interested in my story and the science I was doing! In July, one of my teammates and I were a part of the STEM Plenary Panel at the International Space Station Research & Development Conference. It was just unbelievable that I was talking to so many different and important people. When I was a speaker at my town’s local Rotary Club Meeting, I definitely felt that I had grown in public speaking, and I was more comfortable in front of an audience. This mission has changed me in so many ways. Before doing this project, I was pretty sure that I wanted to go into aerospace engineering. Getting to work and talk with many people in the industry confirmed for me that this is one of my career interests. I’m definitely glad that I took the chance of entering the crystal contest, because it has paid off in such amazing experiences. 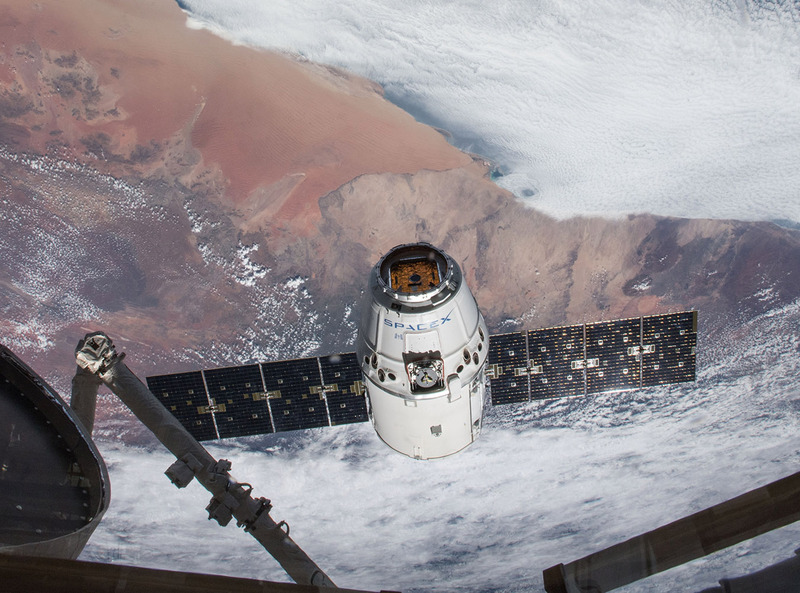 On April 4, 2018, the SpaceX Dragon resupply ship approached the International Space Station to be captured by the robotic arm. The southern coast of Namibia is visible behind it. NASA astronaut Ricky Arnold took this picture and tweeted, "Welcome @SpaceX 14 – packed with science and hopefully a few goodies for us too!" 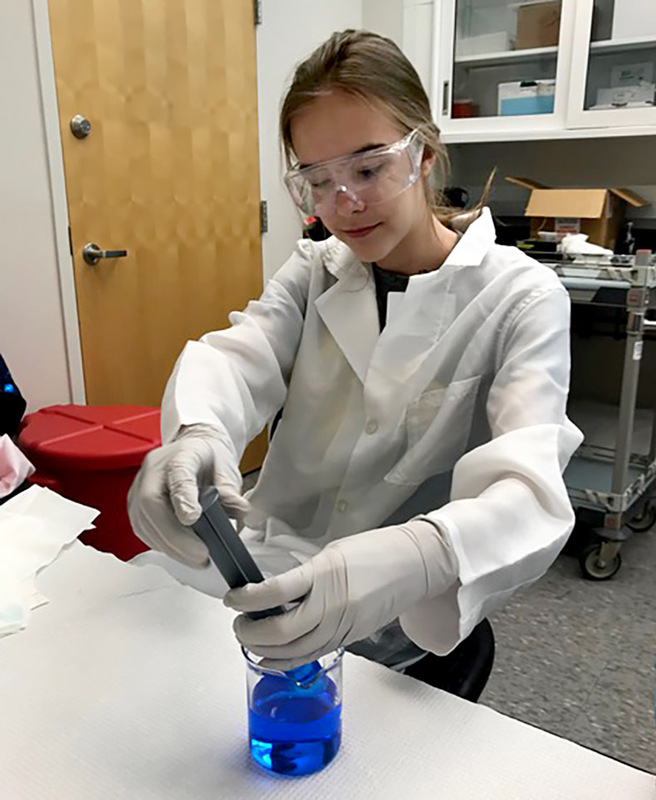 Middle and high school students compete for the chance to grow crystals onboard the International Space Station National Lab. 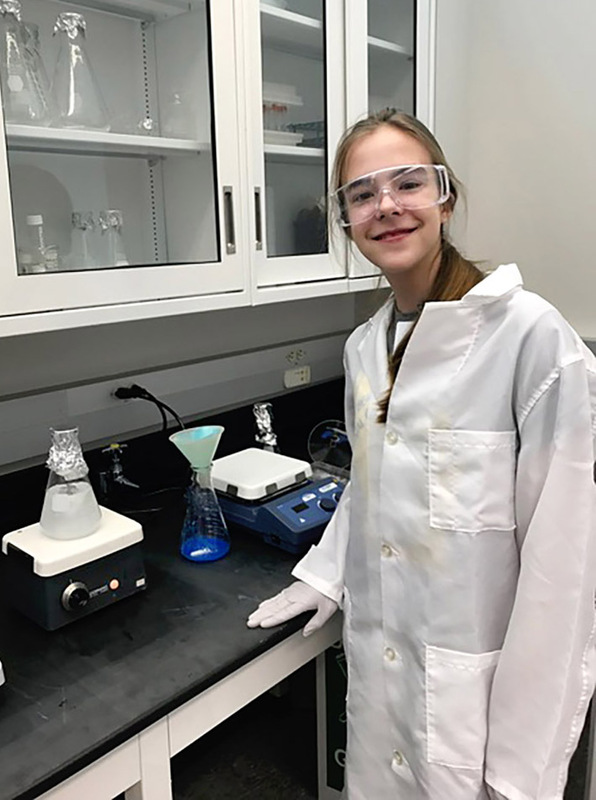 13-year-old Payton Kelly-Van Domelen describes how she got to design a crystallization experiment and watch it launch to the ISS! 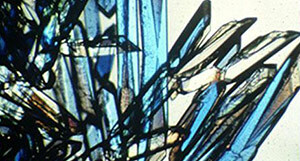 See why it matters that the microgravity environment onboard the ISS lets researchers are grow crystals that are larger and more well-ordered than crystals grown on Earth.